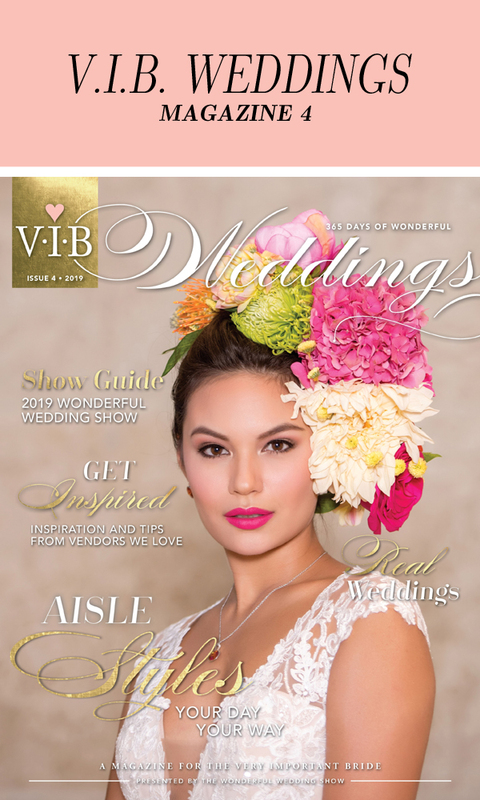 Beautiful boutique atmosphere offering private label Anna Lang gowns and custom creations, specializing in creating backless, gathered bum, & bohemian wedding dresses. BENNY'S hand finishes every garment they make. From the board meeting power suit to the simple and affordable tuxedo for your wedding, there are no short cuts taken in the quality of your garment, rent or own. Indulge yourself with a dream bridal shopping experience as we welcome you to our exclusive VIP Bridal Fitting Lounge…where wedding dress shopping becomes a truly unique & memorable experience. 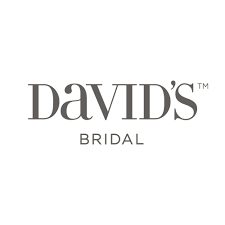 For more than 60 years, David’s Bridal has helped women shine for the special moments in their lives, and we want to make your day amazing. 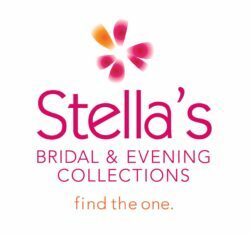 As the world’s largest bridal retailer, we offer a wide range of styles and sizes at reasonable prices so you can have the celebration of your dreams. 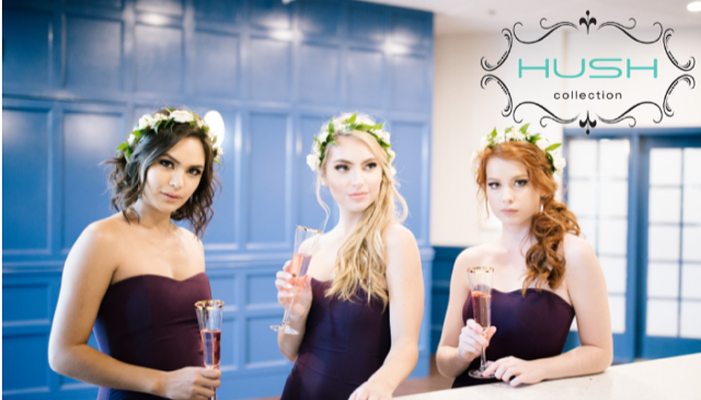 HUSH Collection is our bridesmaid dress line. In just a short period of time our affordable collection has grown to include over 60 different styles, and over 380 different colours to choose from to create the perfect personalized dress for your bridal party. Our consultants all have fashion backgrounds and are knowledgeable about what styles best suit different body shapes and sizes. 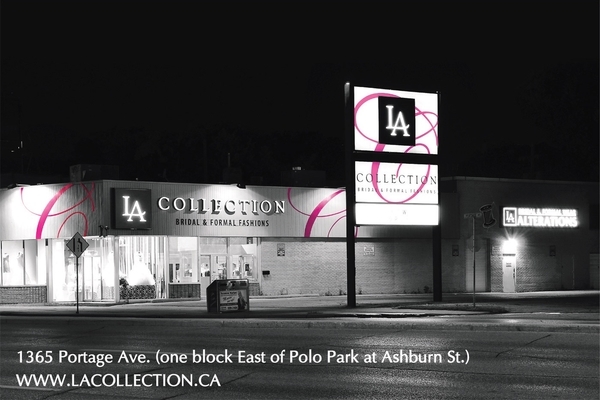 The largest bridal salon in Manitoba, LA Collection boasts 8,400 sq. ft. of bridal and formal selections. Specializing in bridal gowns, we also cater to the bridal party with dresses for the mother of the bride and groom, flower girls, and bridesmaid samples in sizes 4 - 30. Nile Bridal & Alterations provides you with every clothing service you will ever need. We offer gown cleaning & restoration along with our preservation service to ensure your cherished pieces last for years to come. If you ever want to part with a gown, we are also able to find a great home for it while getting you a fair deal through our consignment program. Pearl and Birch Wedding Consignments is the only full service bridal boutique that sells preloved wedding, formal & graduation attire. Shop & sell with us! It all started with a dream. Sewrenity Creations specializes in bridal alterations and custom gowns/flower girl dresses. With over 10 years of experience, let me help make your dress a perfect fit. 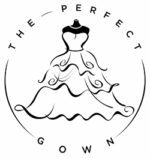 The Perfect Gown is Winnipeg's first plus size bridal boutique, specializing in sizes 14-32. Every bride should feel beautiful and excited about dress shopping, no matter what her shape or size is. 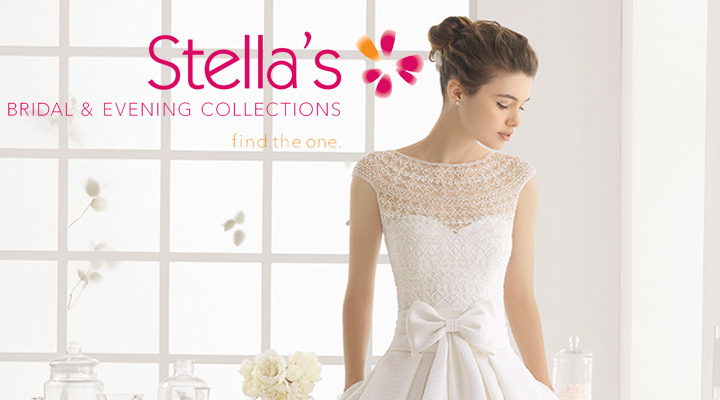 Come visit and let our bridal consultants help you find your perfect gown.